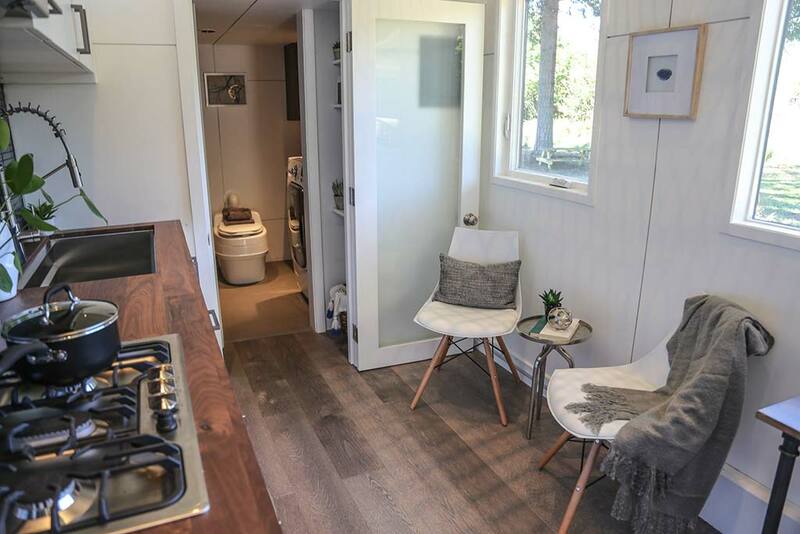 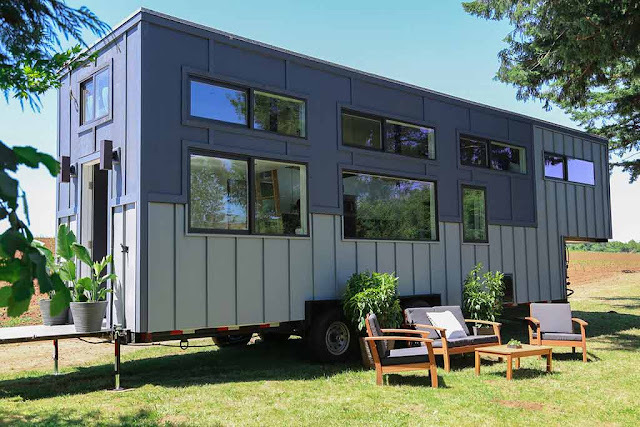 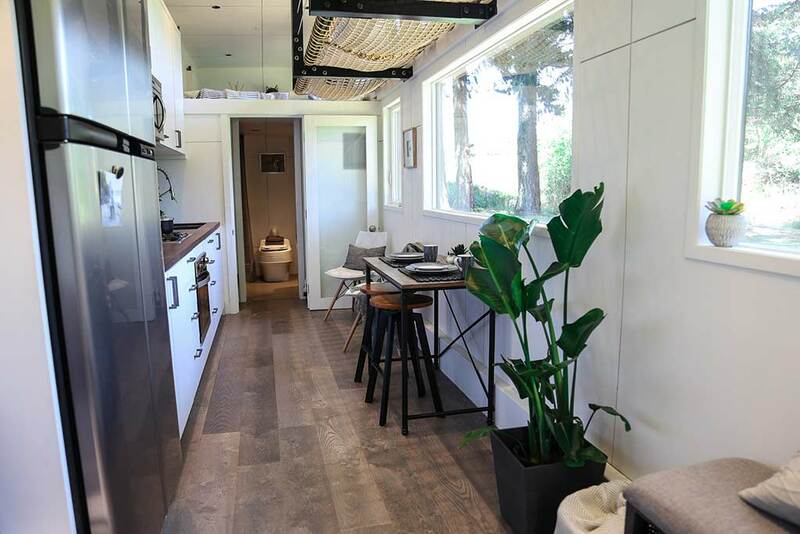 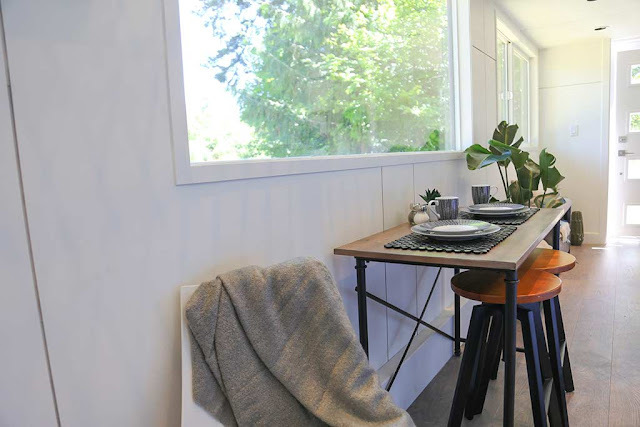 A modern, sleek tiny house designed and built for a family of 5! 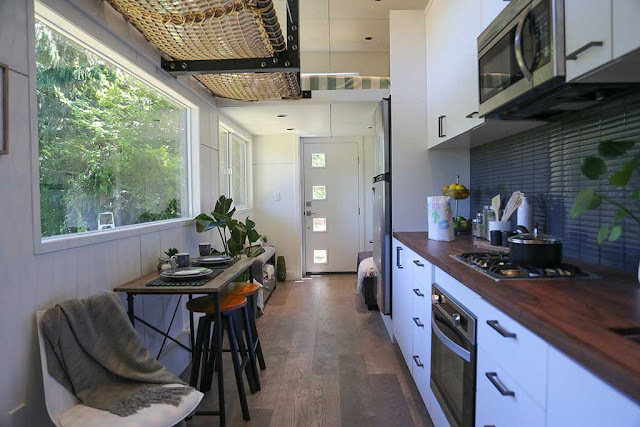 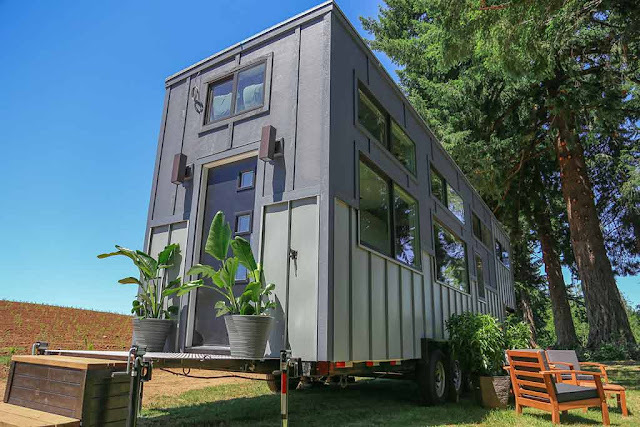 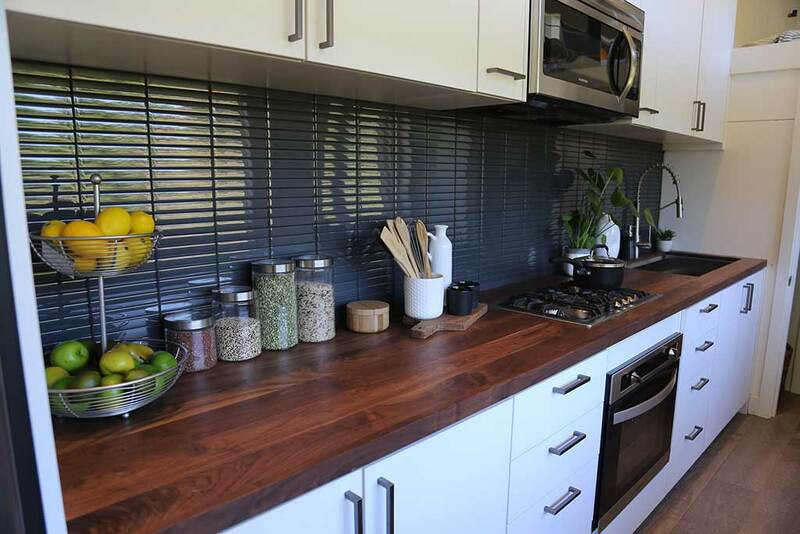 Luxury tiny house builder, Tiny Heirloom, created this home for their HGTV show, Tiny Luxury. 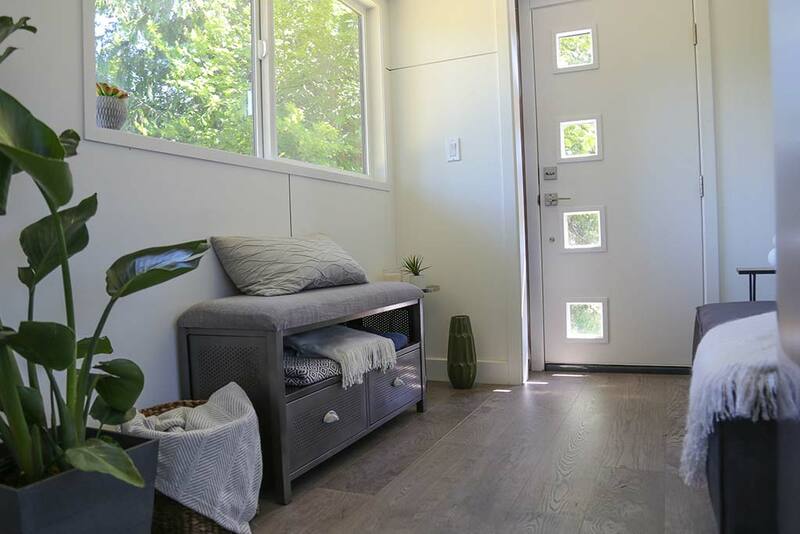 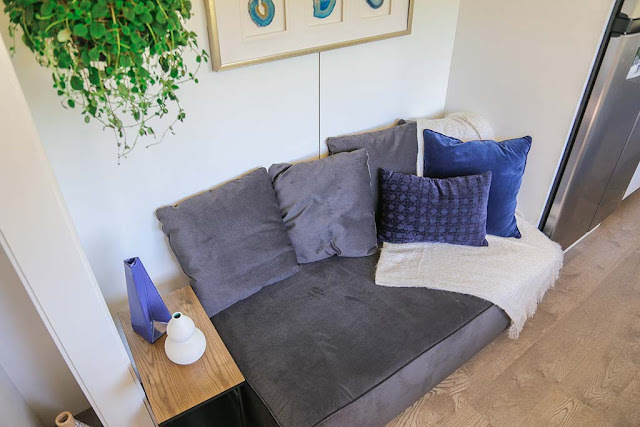 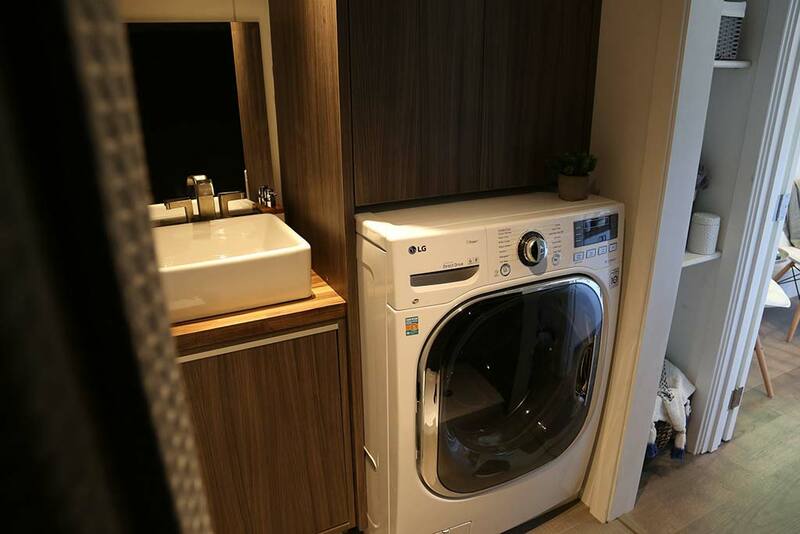 The home features a super-sized kitchen, a dining space, living room, dedicated playroom, a washroom, and bedrooms- all within less than 400 sq ft! 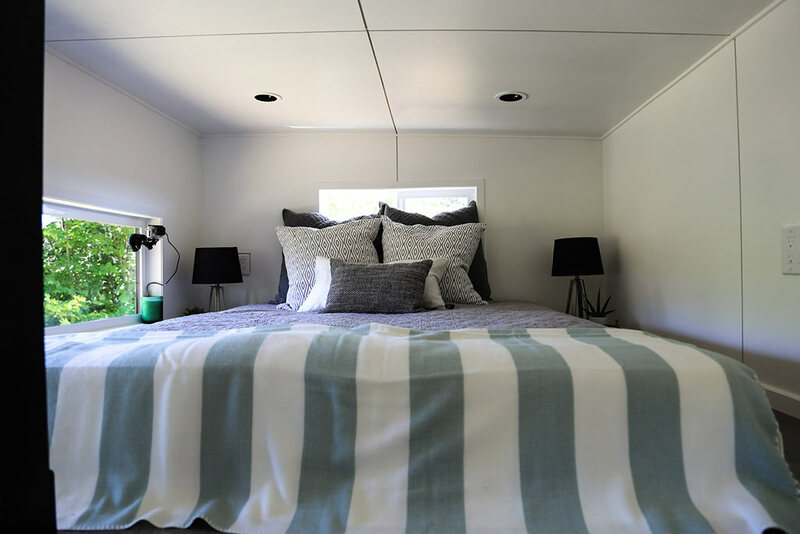 For more info and inquiries about the home or builder, contact Tiny Heirloom here!